Which city will be the first to crack on-demand mobility? Imagine a city bus that you could hail like a private cab. A public transit option with no fixed routes that gets you to your destination at less than half the price of a cab fare and almost as quickly. That was Kutsuplus, a city-run “mobility on demand” transit service in Helsinki. WiFi-equipped minibuses roamed the city's downtown core. A dispatch system would direct buses to passengers and dynamically update routes on the fly to pick up more passengers. Pickup points were typically the nearest city bus stop, usually only a few minutes walk, and payment was arranged through an app — no fumbling with transit cards or cash needed. But it wasn't meant to be, at least not in the Finnish capital. 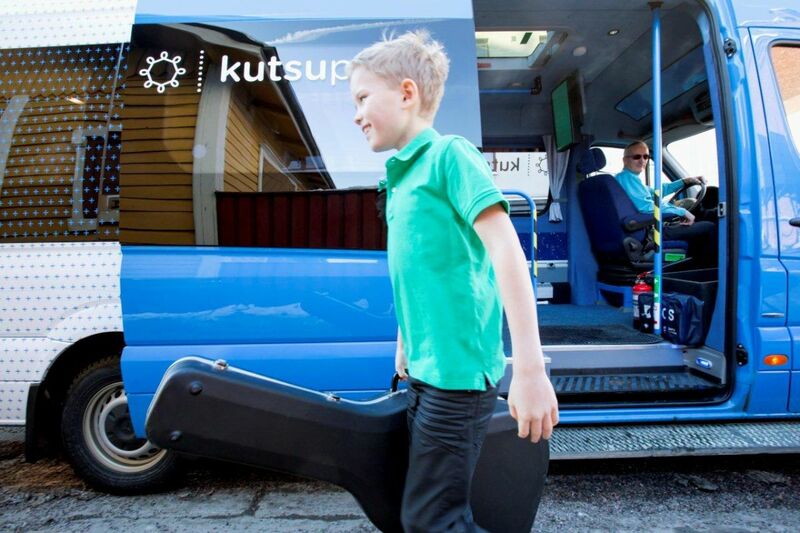 Helsinki Regional Transport pulled the plug on Kutsuplus on Dec. 31, 2015. Kutsuplus' supporters and developers blame the economy. A minuscule initial rollout — not enough buses at one time — may have also contributed. One thing is clear: Helsinki needs more experiments like Kutsuplus. The growing city is projecting unbelievable traffic in the coming decades — and so are its peer cities in Europe and across the world. And even if a city-run on-demand service can’t succeed today, it’s not out of the question that if current trends in mobility, demographics and culture continue, such a service won’t be able to survive tomorrow. It was a simple idea. Helsinki is one of the few places in Finland where serious traffic jams are a concern. The city of 600,000 residents is expecting to grow by another 250,000 in the next few decades. If all those new residents bring cars, it could be a serious problem. Unlike in London, where Mayor Boris Johnson has been hard-nosed about congestion charges for private vehicles, Helsinki has yet to tax its citizens on car usage. Rather, it has been betting on new forms of public transport. Like Kutsuplus. Passengers loved it. For about a quarter of the price of a cab fare, riders would get a nearly door-to-door trip, with astoundingly accurate timing. Kari Rissanen is an electrical engineer who worked for Nokia developing communication prototypes before going to work for HSL (the Finnish acronym for Helsinki Regional Transport). He developed and oversaw Kutsuplus until it folded. Rissanen says that more than a third of pickups were within 30 seconds of the promised time. And while some said the minibuses were frequently shuttling around just one passenger per car, Rissanen says that was rare. For many passengers, Rissanen says, Kutsuplus had the potential to be two to three times faster than their public transit options, and in wintry Finland, taking the service instead of a private car means no shoveling out a parking space, de-icing the windshield, or putting on snow tires. 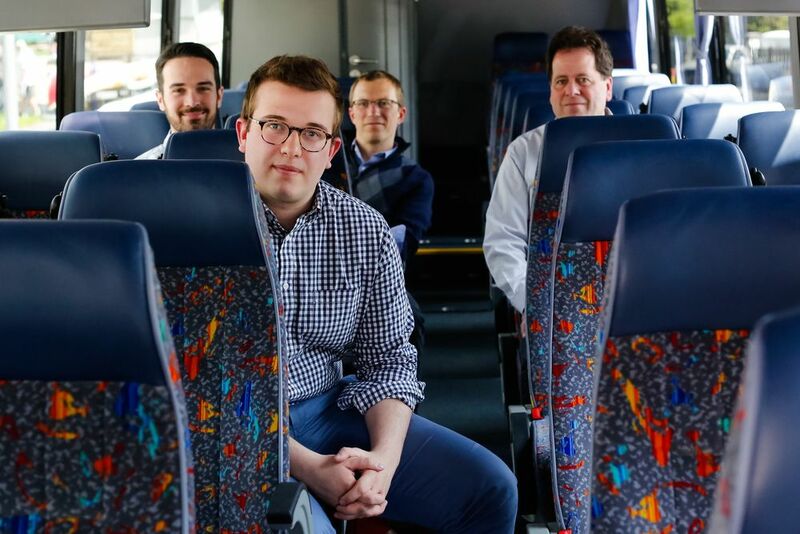 The buses had big comfy seats, outlets for charging devices and WiFi, so passengers could work instead of focus on driving. So what went wrong? There are a few theories. First, with a budget of about 3.2 million euros, the service wasn’t able to get more than 15 buses running at a time. (HSL planned to have 100 by 2017, and 2,000 by the year 2020.) Fifteen minibuses is a start — and by the end of 2015 the buses were operating for longer hours and serving more people — but it’s not really enough for Helsinki, which has a metro, 15 tram lines and a large bus system. Combined, Helsinki's public transportation network provides about 1.2 million rides daily. Only with volume, Rissanen says, could such an enterprise be profitable. Until the decision was made to end the service, he had been urging his bosses to add 30 more vehicles to the fleet. But it wasn’t enough. Matt George is the CEO and founder of Boston-based Bridj, a venture-capital-funded startup that operates shared vans in select areas in Boston and D.C. He estimates that getting a reliable 10 passengers per van may have made Kutsuplus economically sustainable. And like Rissanen, he says Helsinki’s fleet needed to be larger if the city wanted to sell riders on the system. The technology that powered Kutsuplus — from a startup formerly called Ajelo — is the same routing algorithm that powers the ride-sharing company Split, which launched in Washington, D.C., last year. (Ajelo was acquired by Split in late 2014.) Like Kutsuplus, a driver’s route can be optimized on the fly as new passengers request seats. 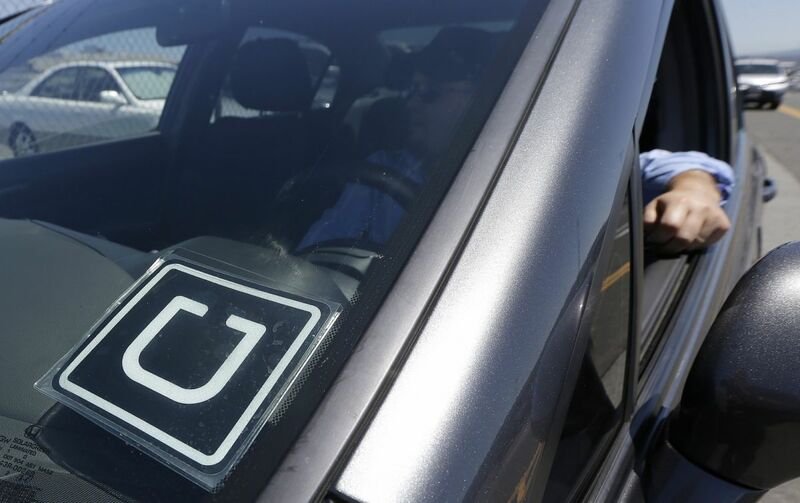 But Split works more like Uber or Lyft, in that drivers use their private vehicles to transport passengers, rather than a fleet of publicly or privately owned buses. That takes a lot of cost out of the equation. Also unlike Kutsuplus, it’s not supported or backed by the local government, excepting the fact that the D.C. council passed ride-sharing-friendly legislation in 2014. Having government backing can be a two-edged sword: Because HSL is a political entity, it put pressure on Ajelo to develop certain features or drop others. The agency asked Ajelo to build a system to let Helsinki users hail a van by text message, to provide accessibility to non-smartphone owners, before it built a native Android or iOS app. Surge pricing was a nonstarter. That isn’t to say that a model where cities own their vehicles can’t work. In fact, Bridj’s new partnership with Kansas City, Missouri, operates exactly that way. The city pays the drivers and owns the buses, which are Bridj branded. Bridj provides the platform and the technology — the algorithm, the app, the customer service. The one-year pilot program, which George says is the first such partnership in the U.S., launched March 7. “We're partnering … to provide Bridj not as a traditional supplement to transit but as an extension of transit,” he says. 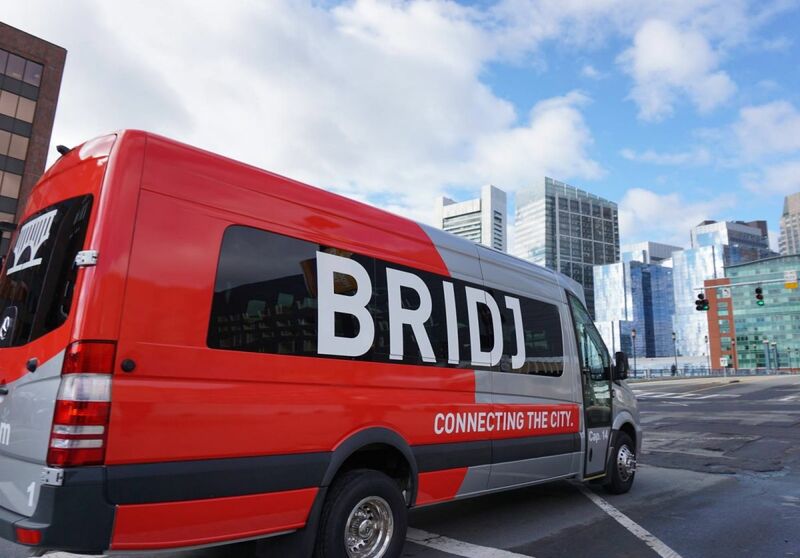 It’s important to note that Bridj doesn’t exactly operate on demand (though its schedules and routes are certainly determined by demand). In other words, if you need to go from your home to downtown at 2 p.m. exactly, you might be out of luck. But if your commute takes you from downtown D.C. to a few residential neighborhoods less well served by rail, Bridj can take you there. Kutsuplus was part of Finland’s greater policy push to use technology to solve transportation problems, Rissanen says. And as Helsinki anticipates growing by about 40 percent by 2050, transportation is going to become a front and center issue. The latest city plan for Helsinki envisions the city as “a network city of rail traffic with an expanding strong main center.” And in fact, HSL has been investing millions of euros (one estimate says 1 billion euro) to expand its rail network to connect with the nearby city of Espoo. (The line is scheduled to open later this year.) More system expansions are planned for the 2020s and 2030s. But rail is only one part of the picture. Marko Forsblom, head of the Traffic Lab, a government agency devoted to incubating new transportation services in Finland, says transportation is expensive to build, but it’s also expensive for riders. Traffic Lab began with a modest budget of 2 million euros and a team of mostly part-timers, providing advice on legal and business problems, commercialization support, and cross-promotion. It also acquires data from various operators, anonymizes it, and then makes it open and available, on the condition that those accessing the data use it to build apps or mobility products. Forsblom is inspired by a Swedish experiment, UbiGo, in Gothenburg, where 70 households agreed to pay for a “transportation smorgasbord” that included car-sharing, rental car, taxi, public transport and bicycles in one app, paid at once. That pilot project ended in 2014, but UbiGo says that it will relaunch somewhere in Sweden this year. The ultimate goal, Forsblom says, is to decrease the number of cars on the roads for personal use by linking up several public options, ensuring that residents can go from their doorstep to their destination without much hassle. In other words, experiments like Kutsuplus are part of feeling the way to increased sustainable mobility and solutions to congestion.